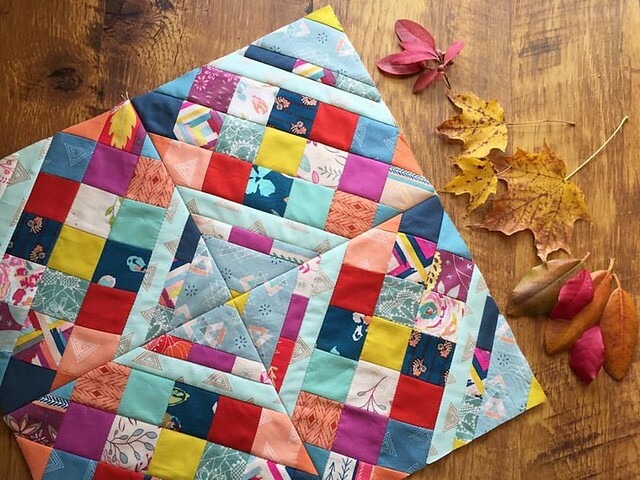 I have to start today's post by sending a big, BIG thank you to those of you who have purchased my Craftsy class, Quick Quilt As You GO! Each day I'm feeling more and more enthusiastic about what a special opportunity this is for me, both to share this favorite technique of mine and to interact with those of you who are interested in learning this method of QAYG. 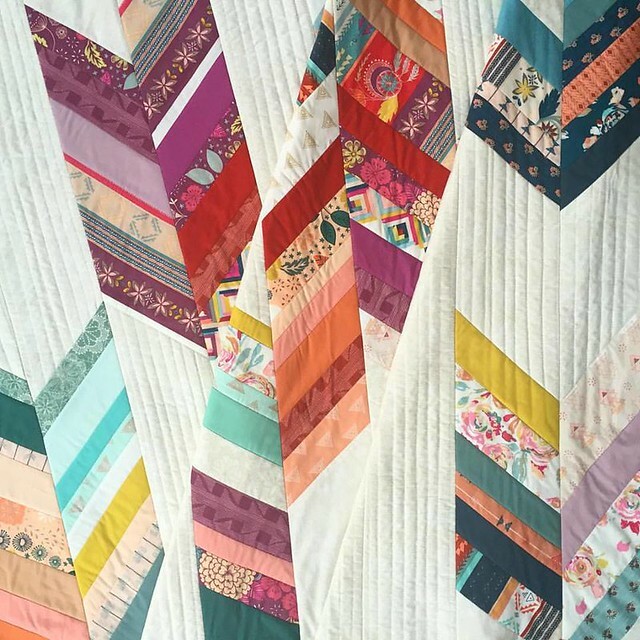 The unique Craftsy format allows for me to respond directly to your questions each day and I can't wait to see all of the beautiful projects you're going to make! Be sure to share with me, I'm really looking forward to it! On Monday, the day my class launched, I received back a box full of all my Craftsy class project samples. With my son's recent bout with Colitis & stay in the hospital, followed by my trip to Houston's Quilt Market last month, I missed the beautiful Fall foliage here in Potter Country altogether. I always look forward to photographing new quilts this time of year and I have plenty that need sharing! Yesterday I posted a quick peek of just three of the Fall palette QAYG quilts that I hope to photograph this week while the weather is so nice. The trees are all bare now, but the light and warmth of these Autumn days is stunning and perfect for venturing out with a stack of quilts, so stay tuned! After Quilt Market, I packed up & sent back all of my booth samples with the AGF girls who create the amazing collection Look Books. Since my new fabrics come out in December, I'm not expecting to have those samples back to photograph in detail until after the release of Fleet & Flourish, but I do want to mention to all of you who are signing up for my QAYG class that each of the quilts and pillows I created for Quilt Market were made using the same techniques and patterns I teach in my class! These are all just new variations! If any catch your eye, by all means reach out with your questions! 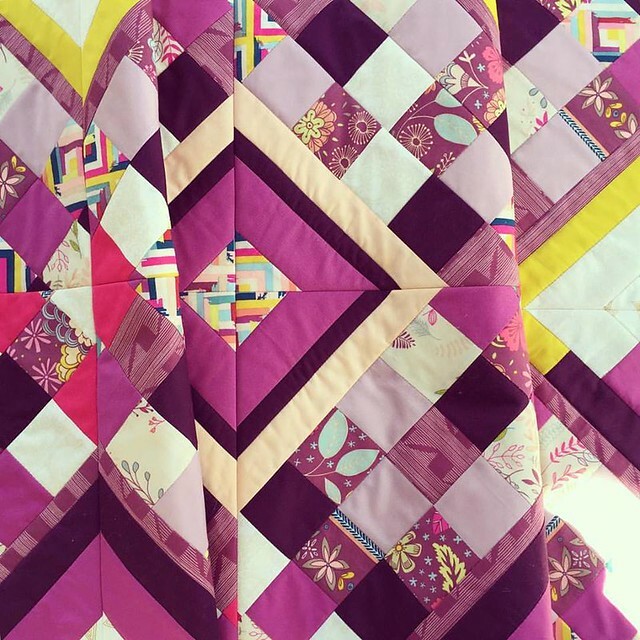 I'm here to help and want to make it easy for those of you taking my class to make all of your quilty project dreams come true!! 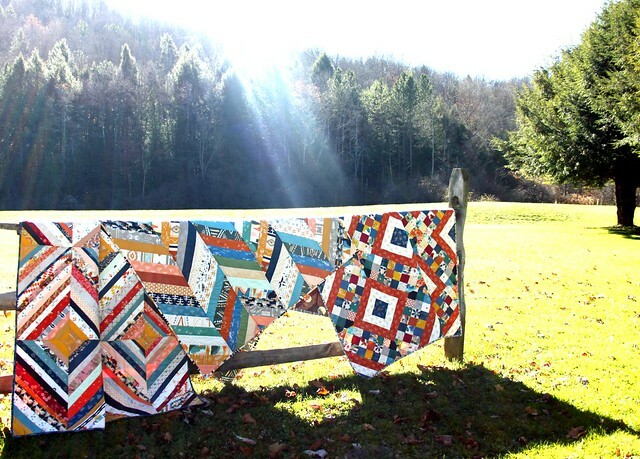 beautiful shot of your quilts...capturing the light. I am thinking one of your QAYG patterns will be my next project after Christmas holidays. Thanks, Maureen, words from Susie H.
Great photo, I am sure with all the goings on this past while, you are happy to be home. Sharing with your family your wonderful accomplishments. I love the herringbone with the big pieces of white mixed in....very pretty! Your projects are truly works of art, stunning! 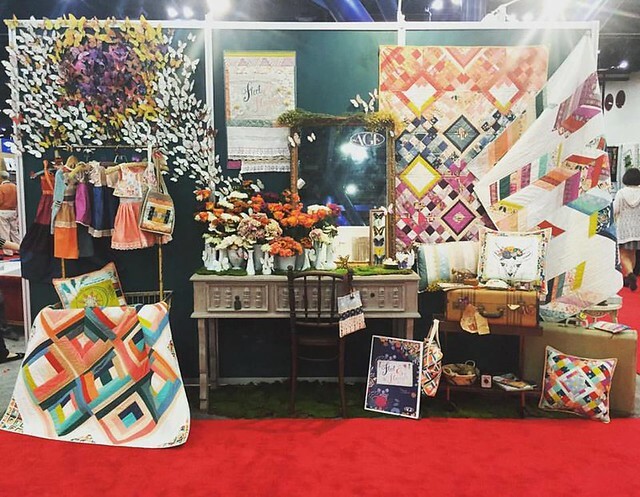 SO gorgeous -- especially the herringbone quilt from your booth. I'm absolutely in love with it! !